Nowadays, computer data is everywhere around and it’s growing at amazing speeds from hour to hour. It’s really fast, easy and convenient to stay active online day and night. No matter how easy it may be for the user, for computer crime investigators, on the contrary, it is the toughest challenge to collect and decrypt digital evidence. Even more important for them is to be able to evaluate a particular situation and understand what exactly they can collect, where it may be stored, how quickly and effectively they can get hands on it leaving the data intact and authentic in order to keep it still useful and trustworthy in court. The crime scene has also moved or better to say spread from computers to mobile devices that can not only “carry” but also produce, process and transfer valuable information among other mobile devices or even into the cloud. This introduces another big challenge, which is tracing a connection between various electronic devices, collecting necessary information from them and gathering evidence into one case. A successful completion of the investigation requires a well thought-out and structured incident response scenario and a whole arsenal of tools, techniques and methods at hand that could be implemented quickly and effectively. In the book by Mattia Epifani and Pasquale Stirparo you will find answers and guidelines to most of your questions in the field of mobile forensics in a very consistent and explicit manner. It also collects and exemplifies all useful tools on the market, including our key mobile forensics instruments Elcomsoft iOS Forensic Toolkit, Elcomsoft Phone Breaker and Elcomsoft Phone Viewer. 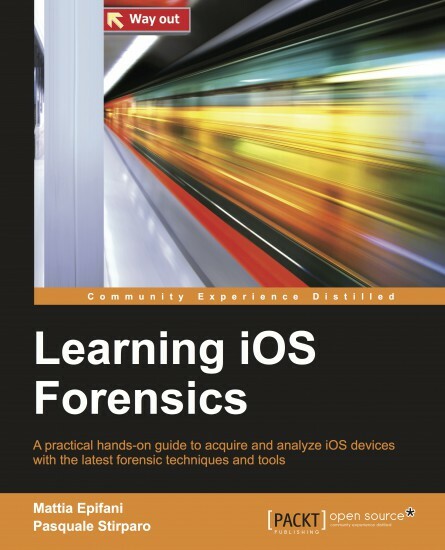 We highly recommend Learning iOS Forensics guide with heavy emphasis on its practical side. This entry was posted on Wednesday, March 11th, 2015 at 3:43 pm	and is filed under General, Tips & Tricks. You can follow any responses to this entry through the RSS 2.0 feed. Both comments and pings are currently closed.